So today while posing a question in one of my favorite Facebook Groups, I stumbled over a truth that I had been ignoring. The truth being ” I had not forgiven my exboyfriend.” I mean I wrote a long extensive email to him; and we have engaged in countless text conversations that ended in me saying the words; but in my heart I had not forgiven him. I knew I had not forgiven him because the mention of his name irritated my core. I secretly desired his demised, and I found empowerment in holding on to the offense instead of letting it go. I mean I felt as if it was my right to hold on to the hurt, and I’m suppose to be a Christian (smile). In my defense this man had me sold on the idea of marriage to him. He painted a beautiful picture of what it would be like ministering and sharing a life together. I bought everything he said, and six months later all that is left of us is broken promises, broken hearts, and a countless number of tears. I used to pride myself on not being the “Bitter Woman,” but the more I denied the hurt the more bitter I became towards him and all men. I was not and have not been interested in anything a man has had to say to me. All of them are now suspect and candidates for an eye roll and a smart comment. Well they were until tonight. 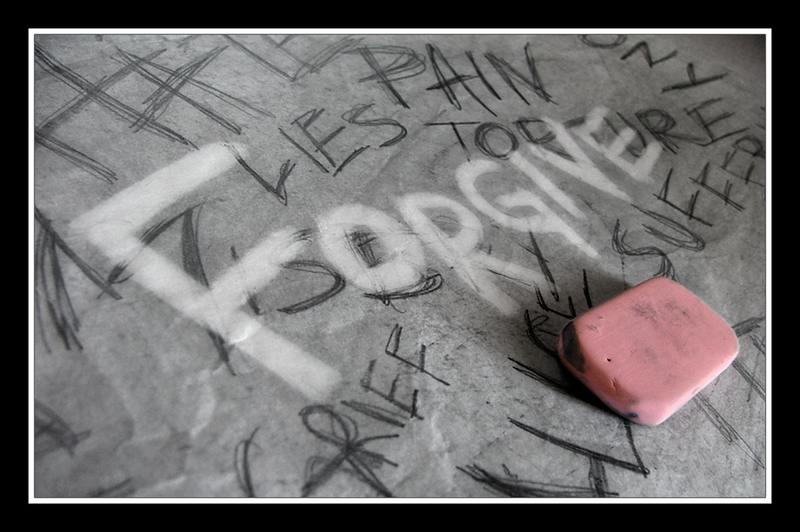 Father grant me the strength to forgive the person I was genuinely hurt by. Instead of holding on to the pain, Lord I release it. My heart cannot carry the weight of this offense any longer. I don’t want to be like my offender hurting people because I was hurt. This night I surrender the failure of that relationship, and I release him from every promise made that he failed to make happen. I have tried to fix my heart in my strength, and I am at the point were I can no longer manage. I surrender my heart to you, and I CHOOSE to forgive. In Jesus Name AMEN.